The name Biberach Bakery Technology stands for perfect silo technology down to the last detail. We offer custom-made solutions in element construction for every size of company. Our service takes care of your systems "when the worm is in". And not only for our own products, but also for products from other manufacturers. 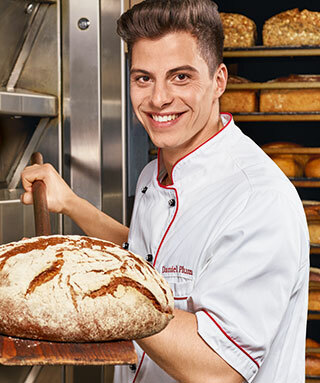 We owe our success to the quality of our services, which is characterised by the talent, competence and commitment of the people at Biberach Bäckereitechnik. Through clear values and an open corporate culture, we support our employees in implementing the high demands and goals of our company. Our work always concentrates on one goal: optimal results with the highest quality, to implement even the most demanding customer requirements. This means that our solutions already lead to the desired goal after a short time and have a long-term effect. We offer our clients innovative consulting services and thus contribute to their sustainable development. We act quickly, efficiently and reliably. With a high level of competence, entrepreneurial thinking and innovative solutions, we deliver top performance. Through open communication and reliability we create trust and credibility. This is reflected in the way we treat our customers and each other. We are always happy to use feedback from all sides to achieve continuous improvements. Fairness and respect are the basis of our cooperation. We see the world through the eyes of our customers and always pay the utmost attention to their needs. That is why we develop innovative and tailor-made solutions and products for our customers - and measure ourselves against your requirements.